Mariah Shaver, whose father Mitch has ALS created this video in honor of him and our ALS community. Mariah is a high school sophomore and we are very grateful for her time and talent. We know you will be moved by this tribute. Watch Mariah's video..
Our new teal-colored "Never Give Up" bracelets are the perfect way to honor the pALS (person with ALS) in your life. All pALS are welcome to join our Michigan pALS Banner family at no charge. We need photos to make our next banner! You can link your Kroger card to our organization and we will receive a donation every time you shop at Krogers. 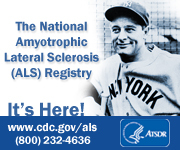 We are listed as ALS of Michigan, Inc. and our NPO number is 46902. Please use this form for contacting our staff.